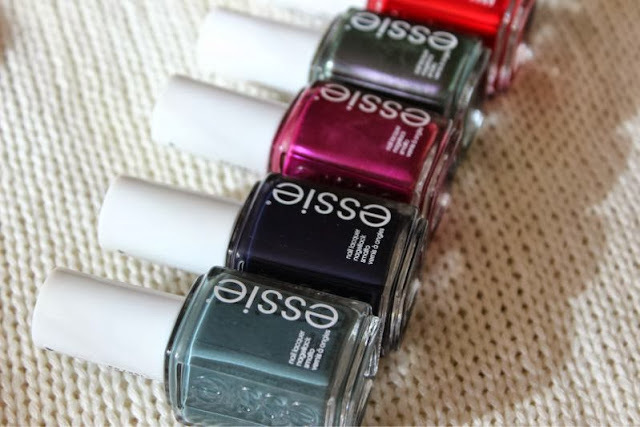 If you are looking to update your nail stash with a few new shades (or perhaps six) for Autumn/Winter 2013 then look no further than Essie's latest collective for Fall 2013. 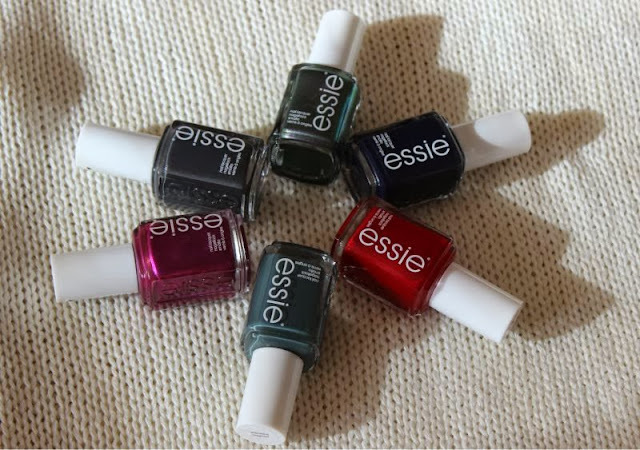 Six new shades that range from muted greys all the way through to a metallic shocking fuchsia. I truly believe that most will be hard pushed to walk away with just one shade from the new line up all of which have been based on the shades and textures of warm winter woolies! 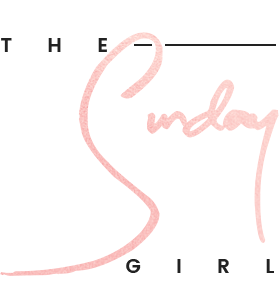 “I love the idea of creating polish that’s like the proverbial boyfriend sweater – in this case, a blazer borrowed from the boys,” says brand founder and Creative Director Essie Weingarten. Warm and fuzzy? You bet'cha! "It’s a material world, full of sensorial sartorial delights. Fall is the perfect time to pile on the cozy and amp up the chic. Rich flannels, sumptuous knits punctuated with accents of lace and the occasional ultra-fine silk twill create a lavish palette of textures that’s impossible to resist." 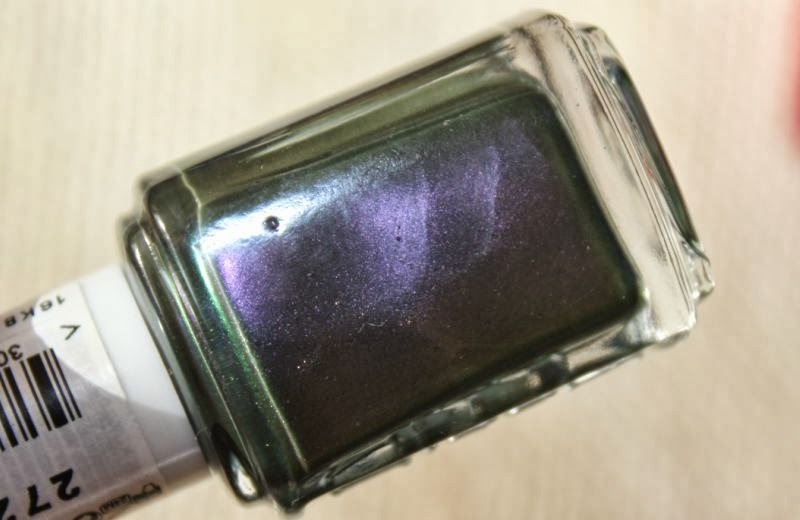 Essie For the Twill of It - This is officially listed as a medium brown with reflective green shimmer but in my opinion it is a duo chrome shade that reflects both purple and green and reminds me both of fish scales and oil on water. It is an original shade and will be the hardest of the bunch to dupe. 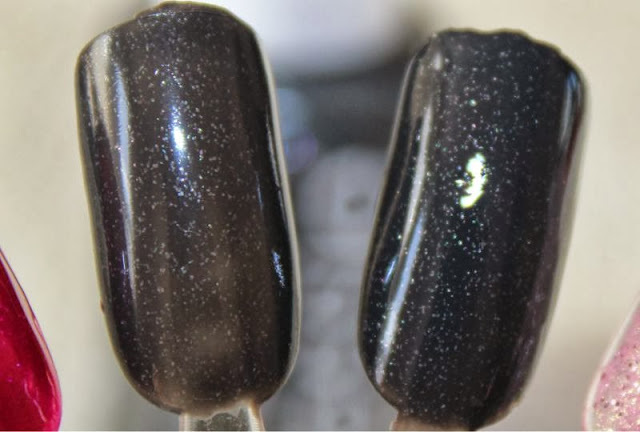 This required two coats for a full coverage effect and dries to a high glossy metallic foil finish. 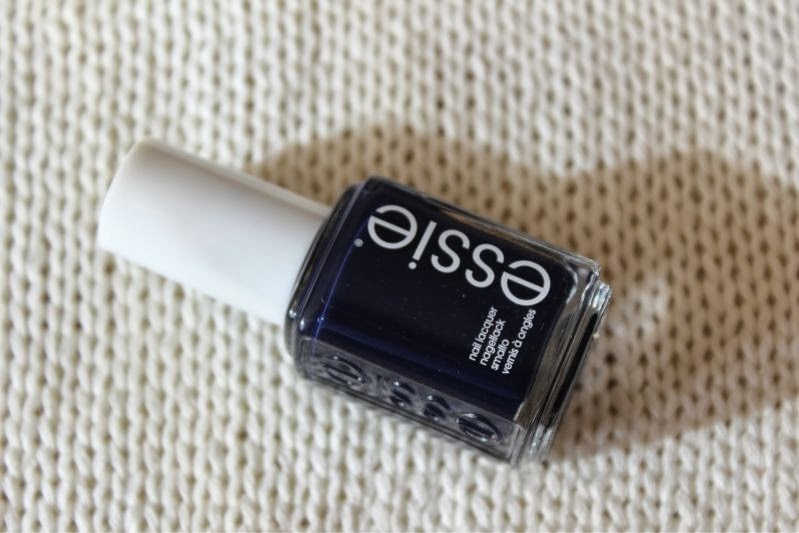 Essie Afterschool Boy Blazer - There's not really much I can add to the official description "deep midnight blue". 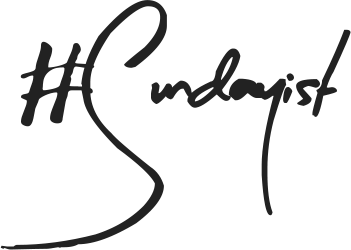 If a true navy is what your heart calls out for this should satisfy the craving. Unlike some deep blues this remains blue and doesn't appear black in some lights. 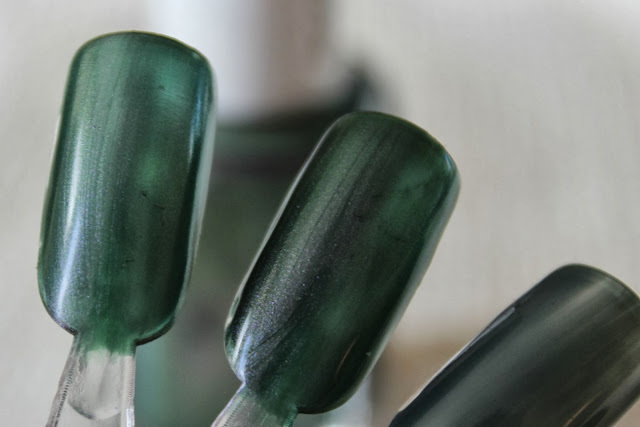 Again this required two coats and dries down to a glossy finish. 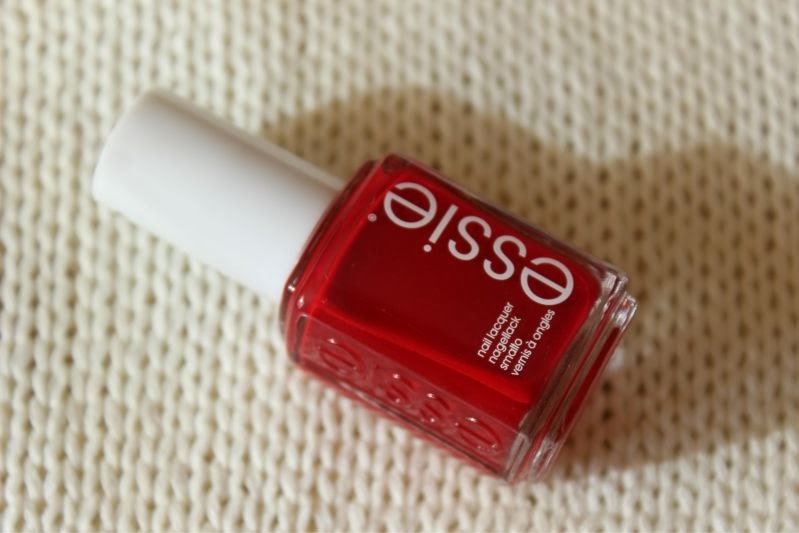 Essie Twin Sweater Set - Every girl should own at least one classic red nail shade and they don't come much more timeless than this red hue. 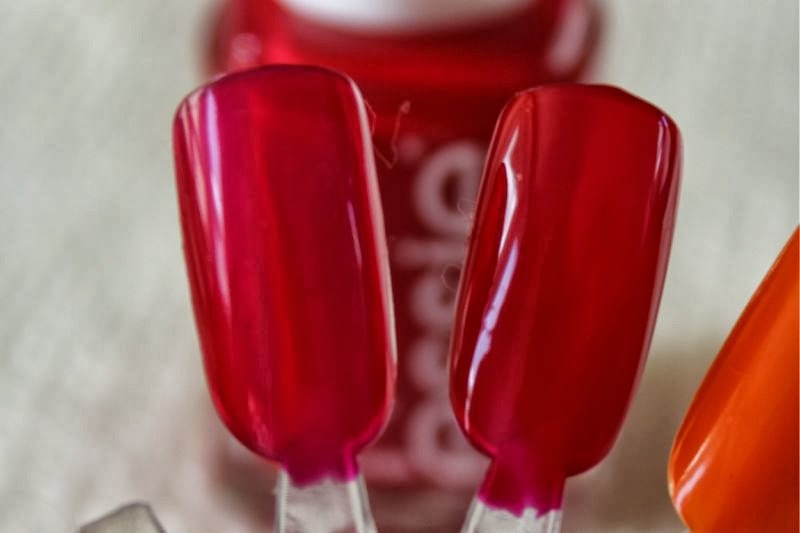 Listed as a "vibrant crimson red" Essie Twin Sweater Set reminds me of old school Hollywood glamour and is truly striking. 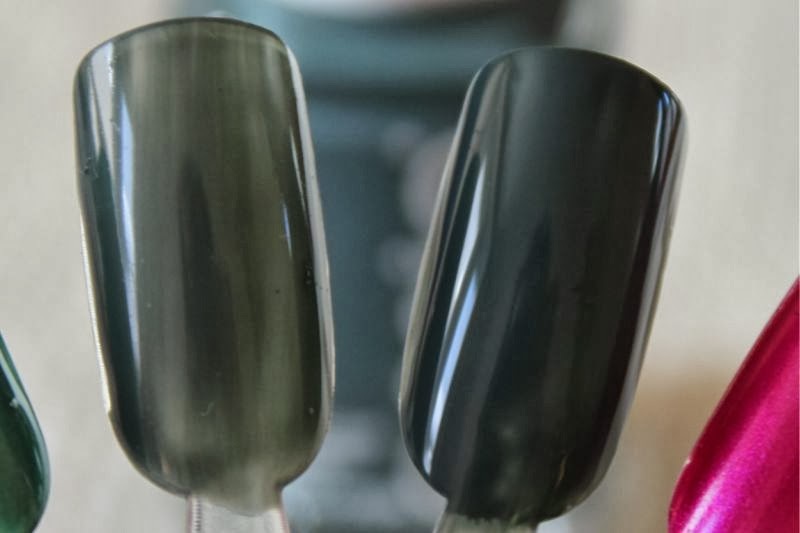 Much like the two shades above this required two coats, three if you want to rid the slight jelly effect and once more has a high gloss finish. 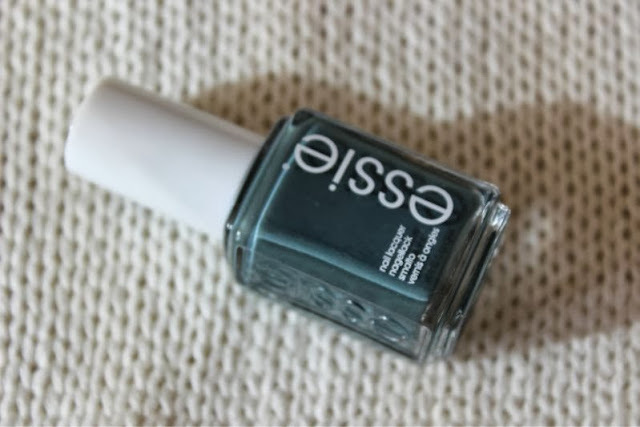 Essie Cashmere Bathrobe - This has to be my favourite and the shade that wins the "if you buy one polish let it be this" award. 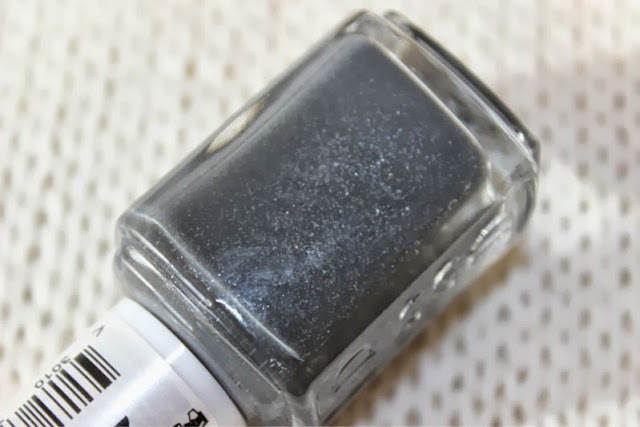 A muted slated grey that leans slightly blue toned jazzed up with tiny silver flecks of glitter. It's simple yet classic and reminds me of soft grey marl fabric perhaps why it is listed as a "true flannel grey". 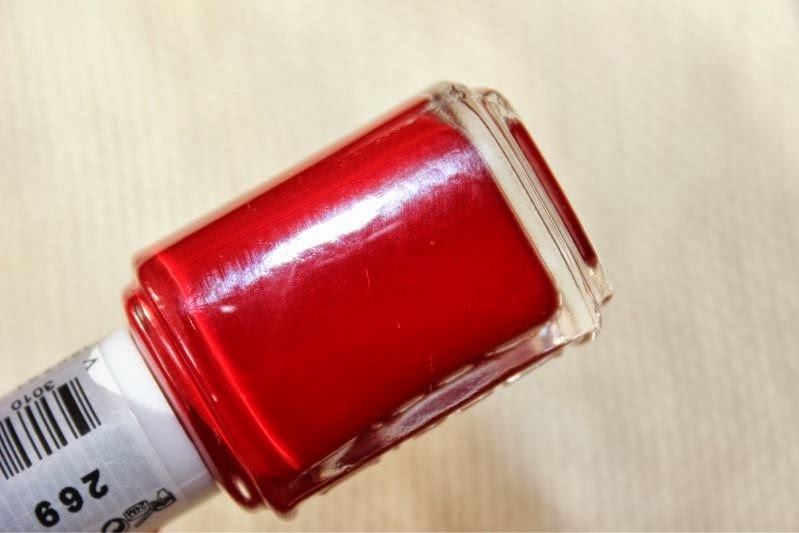 This is the only polish in the line up that was opaque in one coat and has a satin finish. 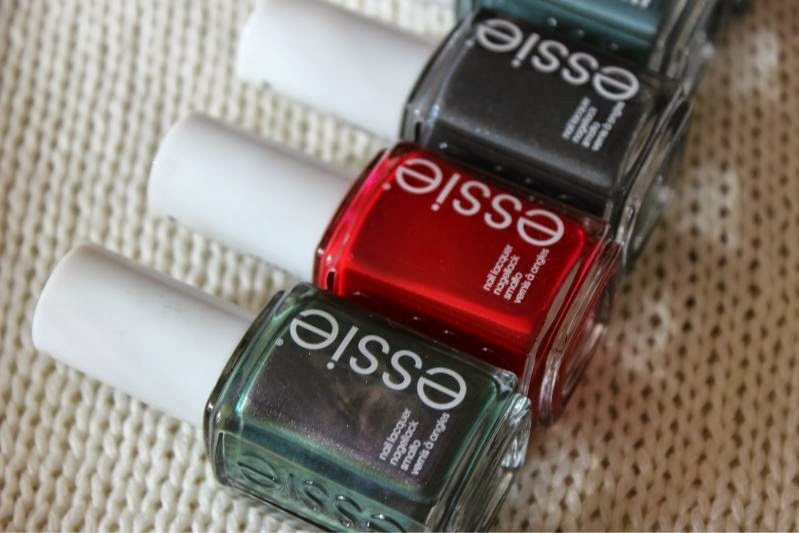 Essie The Lace is On - Rich, bright but so on trend for Autumn and the perfect way to rock a less muted tone this season. 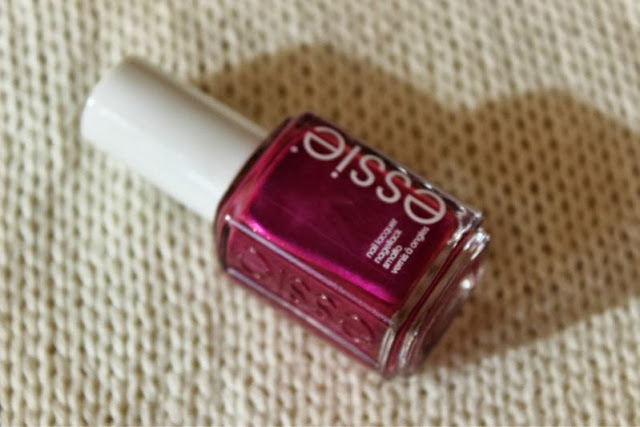 "Jewel toned pearlescent fuchsia" I could not describe Essie The Lace is On better myself. 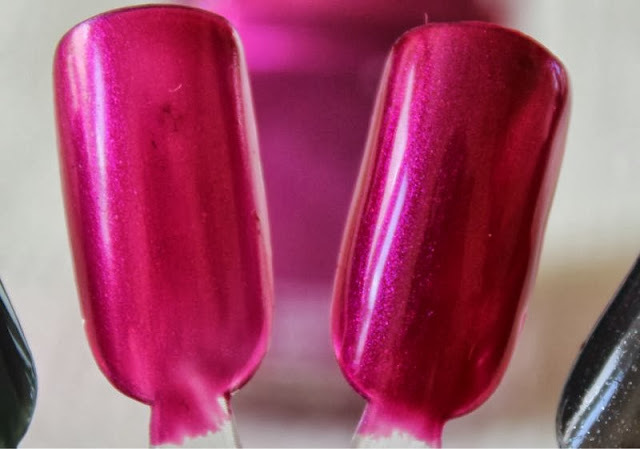 This truly is beautiful and some what reminds me of Essie's Splash of Grenadine but with a metallic/foil finish. 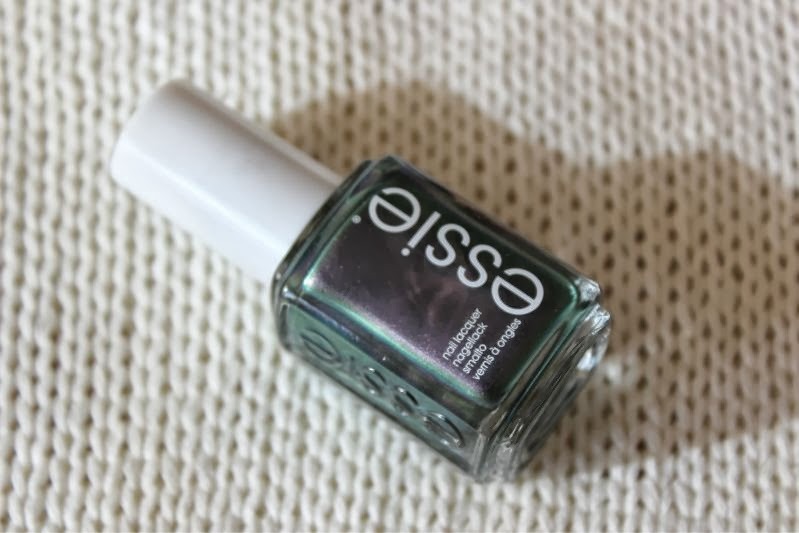 Much like the majority of Essie's polishes this required two coats and has a foil/metallic finish as mentioned above. Essie Vested Interest - Although described as a "cool grey teal" I see this more as a muted khaki green which is oddly one of those shades I find myself gravitating towards whenever in front of a nail polish stand. The formula of this shade is sheer perfection - a silky crème polish that is opaque in once coat with a beautiful glossy finish. 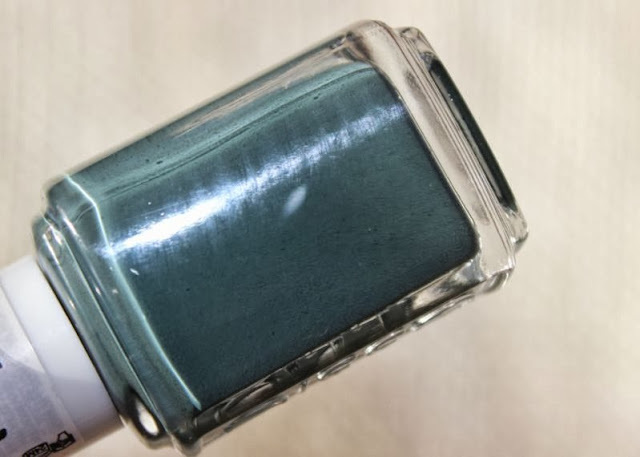 A great everyday shade in my opinion. These look amazing, I really need to try them! Love The Lace Is On, looks like it'd be a great Christmas party colour. Loving the red....I am going to have to try that! 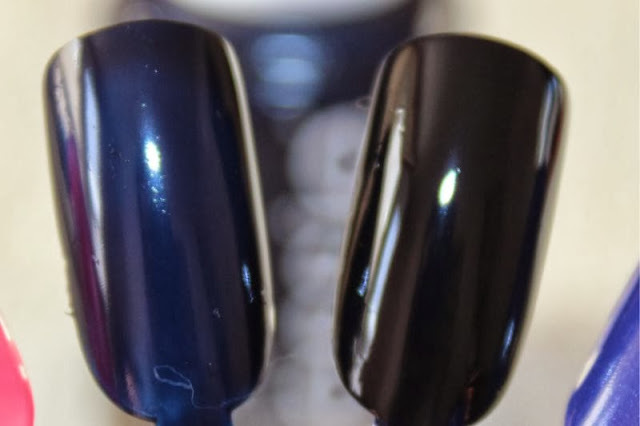 I bought the lace is on and it started to completely peel off the day after I applied it. By the 3rd day it had completely come off most of my nails. Very disappointed as I love Essie. 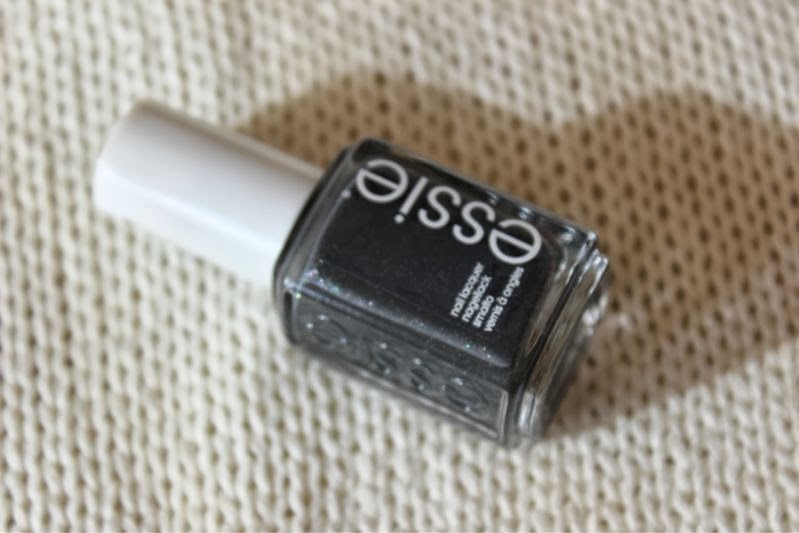 i love the Essie Cashmere Bathrobe nail polish! 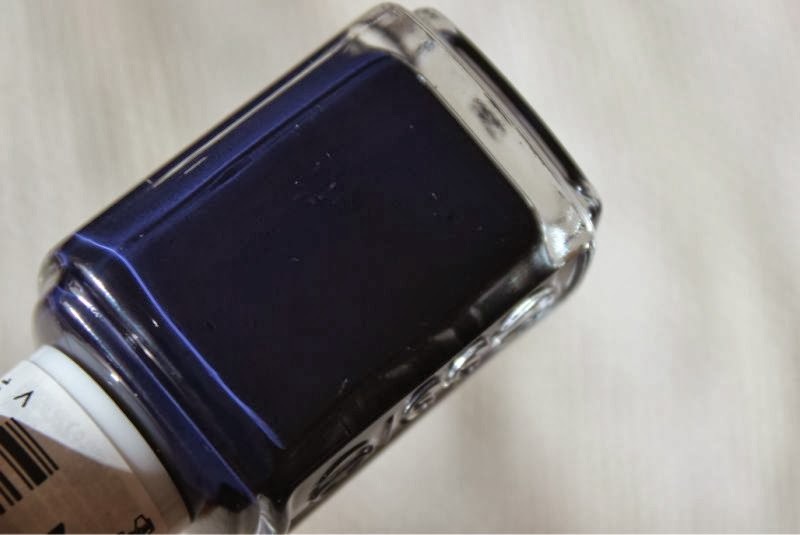 Such a lovely colour. Hello from Tennessee! I have For the Twill of It and might buy the gray, red, navy and fuschia, too.